Safety & security of Iranian Citizens Under Islamic Regime in Iran In BIG Question Mark !!!????? It is true, since the Islamic regime in Iran took the control of Iran and started its reign of terror against political party's and organizations , and since they have established Islamic regime in Iran , the safety and security of the Iranian citizens become one of the concern of almost all family members in Iran particularly those in opposition political party's and groups. 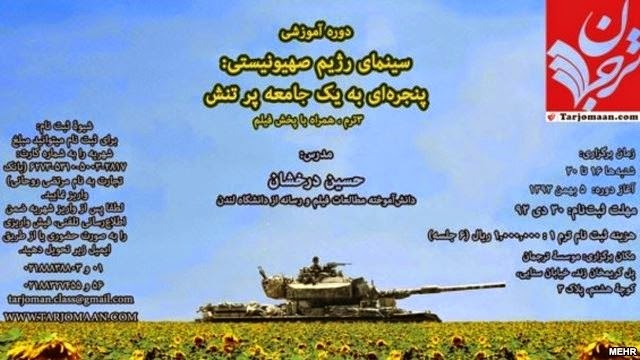 During its reign of terror regime have killed thousands of its opponents ,women or men by its newly organized criminal militias particularly Basij and Sepah. 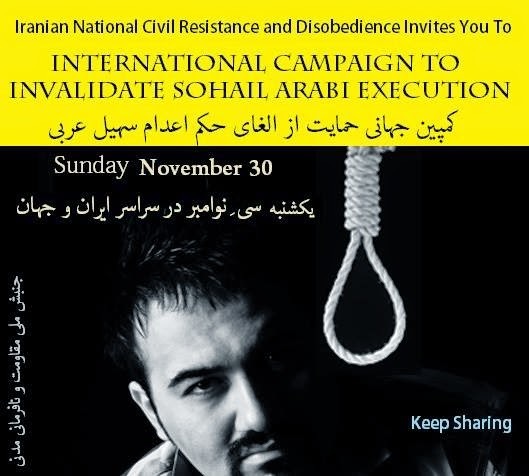 The range of murdering goes from ordinary citizens to high profile Iranian people. Today once again the people in Iran feel the danger for going out and not returning home alive, Safety and security of the citizens are becoming number one issue . President Rohani who have promised to protect the rights of its citizens seems unable to carry out his promises because the extremists groups create this continues fear in the society . It has been in the news that in the city of Jahrom a person attacked six women with knife and bringing fear among women not only in that city but in all over Iran . In the past also person or persons were carrying acid attacks on women not only in the city of Isfahan but also in other part of Iran. It seems the Government is unable to control these person or persons, one thing is sure that, those people are being backed by powerful officials in the Islamic regime. Under this situation the most vulnerable group of Iranian society are women. Political Prisoners All Over Iran Are Joining the Hunger Strike of Political Prisoners in Orumieh Prison ! 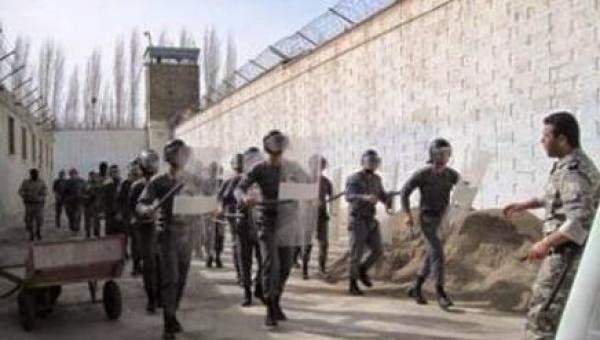 Based on a report by "Campaign in Defense of Political Prisoners " several political prisoners in Rejaei Shahr , Zahedan , Sanandaj and the political prisoners in the southern part of Iran are joining the hunger strike of the political prisoners in Orumieh prison . Therefore , it seems that,the hunger strike of the political prisoners in Iran is going to be from coast to coast in Iran. Political prisoners are demanding from the prison officials to separate them from the criminal prisoners and to stop the discriminatory and inhuman treatment inside prisons. Report indicate that , since November 20,2014 29 prisoners from Orumieh prison went on hunger strike ,demanding from prison officials to separate them from criminal prisoners and to stop discriminatory and inhuman treatments inside prisons. Some of these prisoners are having health problems and human rights organizations are worried about their health and safety. Report also indicate that, 20 prisoners from Zahedan prison in a letter supported the Orumieh prisoners and joined their hunger strike. At present 45 Kurdish prisoners are in Orumieh prison and ten of them are on a death row . Including a group of political prisoners in Sanandaj Prison and Iranian -Kurdish prisoners in the souther city prisons. 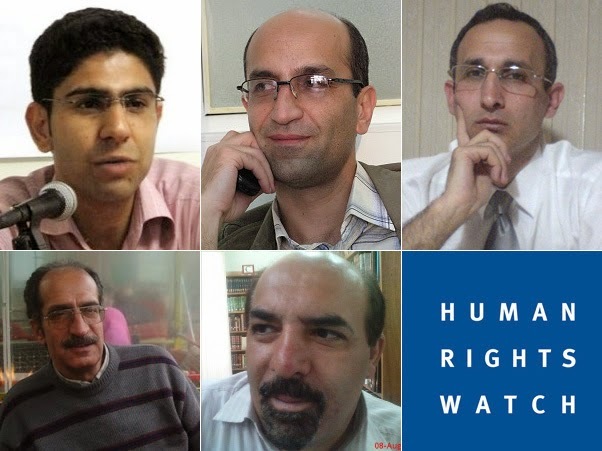 (New York, November 24, 2014) – Five Iranians are among 35 writers to win the prestigious Hellman-Hammett award for courage and conviction in the face of political persecution, Human Rights Watch said today. The other 30 winners come from 11 countries. Western Oil Companys Are Plundering the Natural Resources ( OIL )- The Wealth of the Nations in the Middle East !!
" It's The Crude , Dude "
can learn more about Middle East continues war and people's miseries . By the way what happened to the Arab Spring ? wasn't that all about freedom in the middle Eastern people? What happened? No matter how much we the Middle Eastern people try to bring Peace and Freedom in our region and countries , but alas , gain nothing , just a circle , going back to the same place we had started. Why ? You figure it up . AMMAN (Reuters) - Islamic State is still extracting and selling oil in Syria and has adapted its trading techniques despite a month of strikes by U.S.-led forces aimed at cutting off this major source of income for the group, residents, oil executives and traders say. While the raids by U.S. and Arab forces have targeted some small makeshift oil refineries run by locals in eastern areas controlled by Islamic State, they have avoided the wells the group controls. 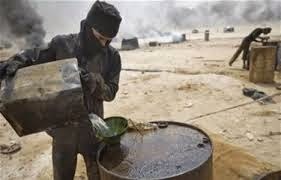 This has limited the effectiveness of the campaign and means the militants are able to profit from crude sales of up to $2 million a day, according to oil workers in Syria, former oil executives and energy experts. "They are in fact still selling the oil and even stepping up exploitation of new wells by tribal allies and taking advantage of the inability of the enemy to hit the oil fields," said Abdullah al-Jadaan, a tribal elder in Shuhail, a town in Syria's oil-producing Deir al-Zor province. U.S.-led forces want to avoid hitting the oil installations hard because it could hurt civilians more than the militants and could radicalize the local population, analysts say. On Thursday the United States threatened to impose sanctions on anyone buying oil from Islamic State militants in an effort to disrupt what it said was a $1-million-a-day funding source. "Our options are limited unless you hit the wells - but it does not just hit Islamic State, it hits the entire population and that is not something that the U.S. can do very easily," said Andrew Tabler, a senior fellow at the U.S.-based Washington Institute, who focuses on Syria. "It's a good example of the constraints of trying to bomb your way out of it." Any bombing of Syria's major oil wells could evoke memories of the 1990-1991 Gulf War when the forces of Iraq's Saddam Hussein invaded Kuwait and burnt oil wells as they were repelled by U.S.-led forces, causing severe damage to the infrastructure. Washington wants to preserve parts of Syria's oil infrastructure with the hope that they can be used after the war if Islamic State and the forces of President Bashar al-Assad are defeated, a U.S. official said near the start of the bombing campaign. One U.S.-led raid destroyed parts of a mobile refinery in eastern Syria but left a tower at the installation intact. "It wasn't about obliterating the refineries off the face of the map. It was about degrading (Islamic State's) ability to use these refineries," Pentagon press secretary Rear Admiral John Kirby told a briefing on Sept. 25. "We'd like to preserve the flexibility for those refineries to still contribute to a stable economy in what we hope will be a stable country when the Assad regime is not in control anymore." 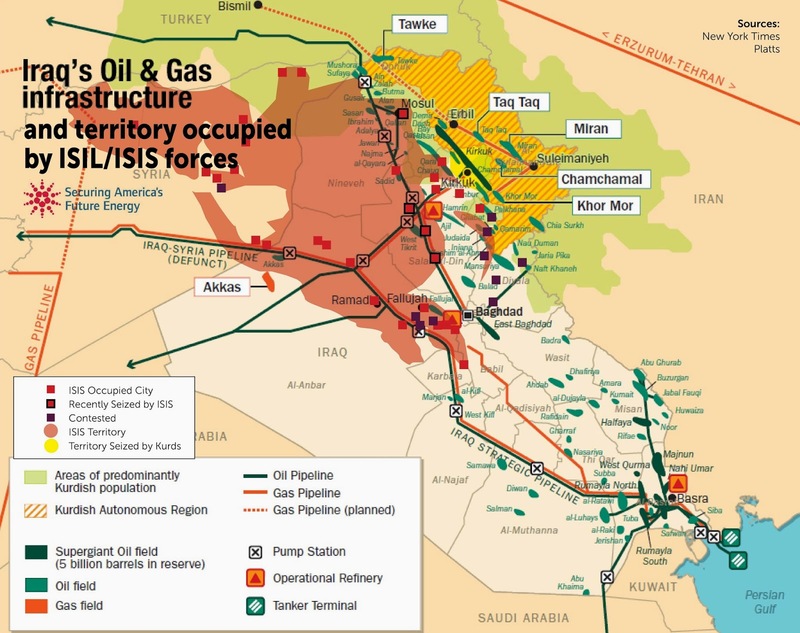 Over the summer Islamic State was pumping anything between 40,000 to 80,000 bpd of crude oil from the wells it controls in the Deir al-Zor and Hasaka provinces, according to estimates from oil experts, traders and local sources contacted by Reuters. The International Energy Agency said in a report this month that output in Islamic State-controlled areas had fallen to less than 10,000 bpd as a result of the air strikes. Local prices of petroleum products however suggest that the strikes have not had a large impact on the supply of illicit oil. A barrel of Islamic State oil sells for around $20, whereas early in 2014 it was selling for $35. Traders say this is because there were ample stockpiles built up before the strikes and because Islamic State ramped up its production in recent weeks. Local businessmen have continued to send convoys of up to thirty trucks carrying oil from Islamic State-run wells through insurgent-held parts of Syria during broad daylight without being targeted by the air strikes. The militant group has allowed convoys to pass more quickly through its checkpoints. It has encouraged customers to load up more than before and has offered discounts and deferred payments to shift more oil, two oil truck drivers and a local trader said. The group's "oil department" has also told traders in the last two weeks they could load as much as they can and urged them to build stockpiles, something traders say suggests Islamic State thinks the oil wells could still be hit. Others say that the threat of strikes has even pushed the militant Sunni Muslim group to use its oil wealth more effectively to shore up its local tribal support base. The group is using its control of oil to strengthen ties with local tribes, rather than just hoarding profits as before, according to residents living in Islamic State-run areas. It is now allowing some Bedouin tribes in the Deir al-Zor province to tap wells it controls, such as the Bar al Milh, al Kharata, Amra, Okash, Wadi Jureib, Safeeh, Fahda and many other medium and small disused wells in the Jebel Bushra area. At least nine major tribes have benefited, including ones whose kin spread over the border into Iraq such as the influential Jabour tribe. The groups have largely been supportive of Islamic State. Traders lured by high profits have continued to build stockpiles and to sell across Syria, even smuggling some into government-held areas. "The American planes are above us day and night but we no longer care. 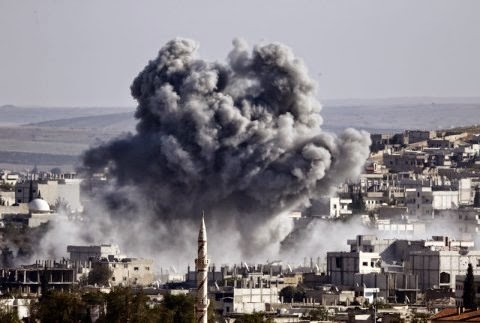 They cannot be worse than Bashar's barrel bombs," said oil trader Ibrahim Fathallah, who sells low quality products to towns across the rebel-held northwestern Syria. "We are the ones on the ground and know how to move across our land. They won't stop us for going on to earn a living for our families unless they bomb the hell out of us," he said. A large trailer carrying 30,000 liters of Islamic State-supplied crude can make $4,000 profit in just one journey lasting a few days, traders say. Traders say they can double returns by squeezing at least 20 barrels, worth around $400, on the back of a Kia pickup. "Bombing or no bombing.. we will go there even if there is death because it brings a lot of revenue," said contractor Abdullah Sheikh who has used profits from his fleet of seven trailers to build mobile refineries in the northern town of Manbij. While some local businessmen have made large profits from the illicit oil trade, many other civilians have come to depend on the informal market which sprung up since the start of Syria's conflict more than three years ago. It has been a major source of income for hundreds of thousands of families in rural areas of north and eastern Syria, where people have been displaced or lost jobs. "The Americans know that these wells have opened an opportunity for many Syrians to benefit who have no links to militants," a Western diplomat familiar with U.S. strategy against Islamic State said. The U.S-led strikes have knocked out dozens of‮‮‮‮‮‮‮‮‮‮‮‮‮‮‮‮‮‮‮‮‮‮‮‮‮‬‬‬‬‬‬‬‬‬‬‬‬‬‬‬‬‬‬‬‬‬‬‬‬‬‬ privately-owned‮‮‮‮‮‮‮‮‮‮‮‮‮‮‮‮‮‮‮‮‮‮‮‮‮‮‬‬‬‬‬‬‬‬‬‬‬‬‬‬‬‬‬‬‬‬‬‬‬‬‬‬‬‬‬‬‬ makeshift refineries that had mostly sprung up around Islamic State-controlled land along the border with Turkey. They were used as a hub for smuggling although traders say Turkey has clamped down on smugglers this year. The plants were constructed by private businesses at a cost of $150,000 to $250,000 and processed 150-300 bpd of Islamic State-supplied crude oil. Traders say the bombing of these larger refineries may have reduced processing capacity by 20-30 percent but was not having any major impact on the domestic fuel market so far. 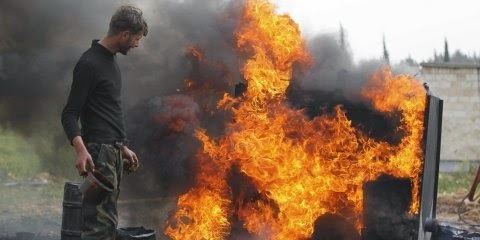 Hundreds of smaller scale refineries are spread across swathes of insurgent-held land, making it difficult to hit them. They continue to refine the bulk of crude extracted, according to experts and traders. The refineries included the one run by trader Mazen Mukhtar, who said his was destroyed by a U.S. Tomahawk missile this week in a direct hit, turning his family's life savings into a heap of mangled metal and burnt crude oil. The mini refinery, that used primitive distillation and heating methods, cost him around $20,000 to build in a waste plot several kilometers away from his home. 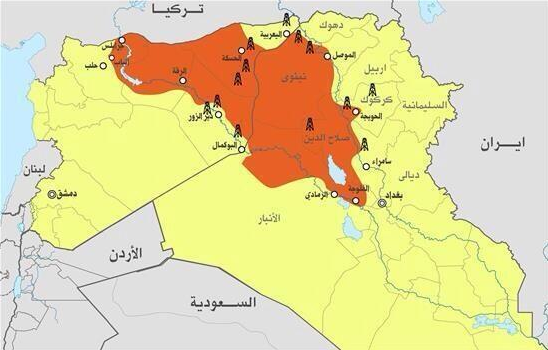 The Islamic State-run oil wells that supply it have been untouched. "Why are they destroying our livelihood...do they want to throw our children to the street to start begging?" the 48-year-old said. "Those who buy this fuel are only the poor who use it to make bread and cook their daily meals to feed their families. Why don't they go after the real terrorist Assad and his gang." In an oil field in northeastern Syria, trucks line up daily to load crude sold cheaply by Islamic State militants who have hijacked parts of the country's energy industry in their bid to build a caliphate. Sales at Shadada field, described by an oil trader, are just one example of how the group, which has seized land in war-torn Syria and neighboring Iraq, is creating its own economy through a series of pragmatic trades. It is cutting deals with local traders and buyers, even businessmen who support Syrian President Bashar al-Assad, and some of its oil has made its way back to government buyers through a series of middlemen. "Islamic State makes not less than $2 million daily that allows them to pay salaries and maintain their operations," said a former Western oil executive who worked in a foreign oil firm operating in Syria before the crisis and who is familiar with the nascent oil market. The United States, which has been bombing Islamic State positions in Iraq, has said it is prepared to extend the campaign into Syria, which has been racked by civil war for more than three years, and has said it will train more than 5,000 Syrian rebel fighters to counter the advancing group. But oil sales mean Islamic State, an al Qaeda splinter group, can rely less on foreign donations and attract more recruits and supporters with its newfound wealth, something that is likely to make the group harder to stamp out in Syria.
" There are views about his early release from prison ,because of his collaboration with security forces and judiciary system against those who were arrested during green movement uprising . Also his early release coincide with the newly appointed head of " Seda va Sima " the Regime Radio and TV station boss Mr. Mohammad Sarfaraz who was acting before in Qods forces and he is the founder of Press TV . Since Press TV in the past was inviting Derakhshan to work for this news service , it is possible he was released early because of Mr. Sarfaraz request from supreme leader Ayatollah Ali Khamenei . So his release could be called as a starting point ( IRAN WATCH CANADA : Green Light ) for him to work with Press TV. And while it is an indication that he was in prison but in fact was active in different social activities such as teaching classes for a period of five months about reviewing the Israeli films in an organization called " Tarjomaan" , also his continues presence on internet ,which brings a lot of question about him being in prison . " 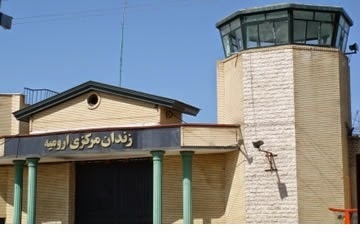 19 political prisoners from the Zahedan central prison in a letter requested from the international human rights organizations to send human rights investigators to the Zahedan central prison in the province of Sistan & Bluchestan . In their letter they said, their condition in the prison is very bad and they also requested from UN general secretary to take action in to their situation. 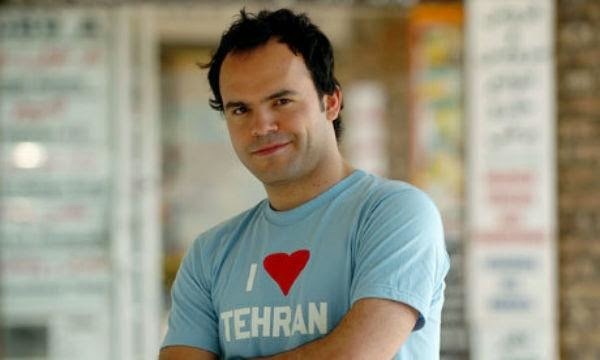 News - Hossein Derakhshan The controversial Iranian blogger Is released from Prison.!!??? Hossein Derakhshan is one of the first Iranian blogger in Iran . He left Iran for Canada on 1999 after finishing his studies in Social Science. After spending some time in Canada he then left Canada on 2006 to London to continue his education in Media studies . Because of his activities in creating blogs and blogging and two weeks after return to Iran on 2010 he was arrested and detained , he was first sentenced to 19 and a half years imprisonment , he spend 6 years in prison and the rest of his sentence was pardoned by Khamenei the leader of the Islamic regime . Hossein Derakhshan is a controversial blogger because before returning to Iran he attacked human rights advocates and journalists .
" I'm freed , After six years, Thanks God, thanks to his excellency Ayatollah Khamenei and thanks to those who have prayed for me those hard days." (New York, November 19, 2014) – A Supreme Court ruling barring from government positions a former judiciary figure linked to protester deaths after the disputed 2009 presidential election is a step toward justice, but far from adequate, Human Rights Watch said today. 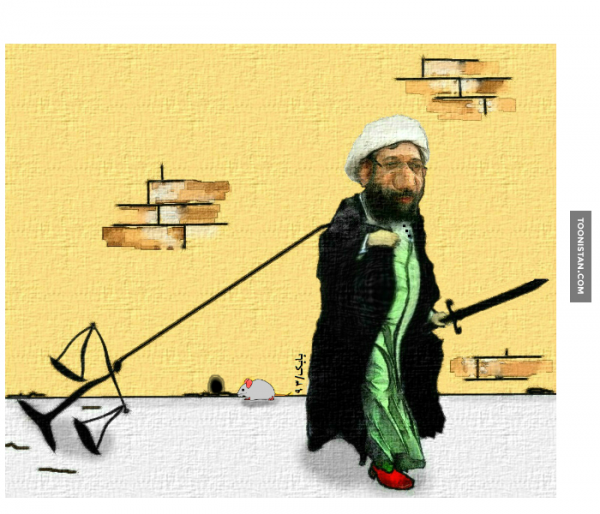 In 2010 a parliamentary committee had found Mortazavi responsible for the deaths of three persons due to his ordering their transfer to the Kahrizak detention facility, where torture was reportedly rife. The official Islamic Republic News Agency (IRNA) reported on November 15, 2014, that the court had confirmed a Tehran criminal court’s decision to ban the former Tehran prosecutor and judge, Saeed Mortazavi, from ever again holding judicial office and from occupying a government post for five years. He was barred from the positions because of his alleged involvement in 2009 in the “unlawful detention” of protesters, several of whom died. Iran’s Tasnim News Agency reported on November 16 that Mortazavi plans to challenge the Supreme Court ruling, claiming that it was issued unlawfully. The detentions Mortazavi ordered allegedly resulted in the deaths of Amir Javadifar, Mohammad Kamrani, and Mohsen Ruholamini. Mortazavi and other judiciary authorities have denied that the detainees’ deaths were linked to injuries at Kahrizak, which was closed in late 2009 by order of Iran’s supreme leader. After its closure, the authorities prosecuted and convicted a number of mostly low-ranking officials for abuses at Kahrizak, but no high-ranking security or judiciary officials have been convicted and jailed in connection with the torture and deaths of detainees at Kahrizak. In July 2009, Iran’s parliament set up a Special Parliamentary Committee to Investigate the Status of Post-Election Arrestees to examine allegations of torture and other abuse of detainees arrested as part of the post-election crackdown. The panel’s report, in January 2010, said that Mortazavi claimed that he ordered detainees sent to Kahrizak because of a lack of capacity at Tehran’s main Evin prison. But Evin prison authorities denied that and said they had been ready to accept the detainees. The panel concluded that Mortazavi’s decision to transfer protesters to Kahrizak was “not justifiable even if Evin did not have the capacity” to take them, and ruled that Mortazavi was responsible for the deaths of Javadifar, Kamrani, and Ruholamini. The inquiry also named Ali Akbar Heidarifard and Hasan Haddad Dehnavi, two of Mortazavi’s deputies, as suspects in the case. In December 2009, a military court tried 11 police officers and a private citizen who allegedly collaborated with the police on murder charges arising from the deaths of detainees at Kahrizak. On June 30, 2010, Iranian media reported that the court had convicted all but one of the defendants, sentencing two to death as well as fines, lashings, and compensation payments to the victims’ families. Nine others were sentenced to undisclosed prison terms and fines. The court acquitted the highest-ranking defendant, General Azizollah Rajabzadeh, Tehran’s police chief at the time of the 2009 crackdown, of all charges. The military court conducted the trial behind closed doors and failed to investigate senior police and judiciary officials such as Mortazavi, Dehnavi and Heidarifard, and Esmail Ahmadi Moghadam and Ahmad-Reza Radan, respectively commander and deputy commander of the Law Enforcement Forces, which operated the Kahrizak facility at the time of the detainees’ deaths. Soon after the military court’s ruling, family members of the detainees who died at Kahrizak declared that they had forgiven the two officers the court sentenced to death so that the families could “witness the punishment of the real perpetrators.” The families have since pursued their case against Mortazavi, Dehnavi, and Heidarifard, whom they hold responsible. 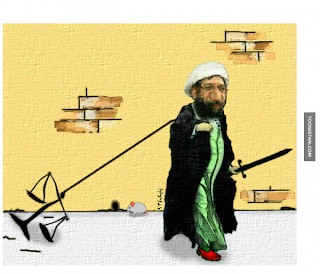 Mortazavi and his two former deputies all lost their positions in the judiciary – and thus their immunity against prosecution – in 2010 as a result of the investigations into their involvement in the deaths at Kahrizak. Despite the evidence linking Mortazavi to serious rights abuses, former President Mahmoud Ahmadinejad appointed Mortazavi to cabinet posts, first as head of Iran’s Task Force Against Smuggling and later as head of the Social Security Organization. 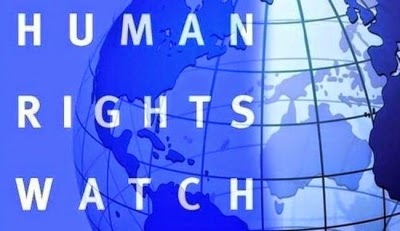 Human Rights Watch has repeatedly called on the Iranian authorities to publicly disclose the number and status of official criminal investigations into the role of Mortazavi and other high-ranking officials for the abuses perpetrated at Kahrizak, and to investigate and prosecute Mortazavi for his alleged involvement in other serious rights abuses. (Beirut, November 8, 2014) – Iran’s judiciary should quash the conviction of Ghoncheh Ghavami for “propaganda against the state” and immediately release her since the charge is on its face a punishment for peaceful speech and protest, Human Rights Watch said today. Ghavami, a dual Iranian-British national, was arrested June 30, 2014 after protesting a ban on women attending volleyball matches. She began a hunger strike on November 2 to protest her detention, her brother Iman Ghavami told Human Rights Watch. The International Volleyball Federation (FIVB) has called on the Iranian government to release Ghavami, and affirmed its commitment to “inclusivity and the right of women to participate in sport on an equal basis.” Nevertheless, on November 2, the Asian Volleyball Confederation reportedly announced that it had selected Iran to co-host the 2015 Asian Men’s Volleyball Championships. Ghavami’s conviction and Iran’s continuing ban on women spectators should prompt the FIVB to step up its actions on her behalf and for equal access to sporting events, Human Rights Watch said. 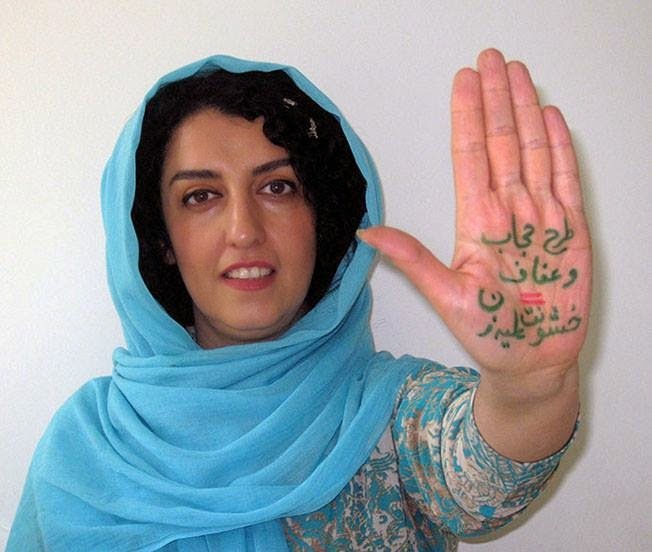 A Tehran revolutionary court convicted Ghavami in a closed trial on October 14. On November 1, her lawyer, Mahmoud Alizadeh Tabatabaei, told the Iranian Labour News Agency that the court had yet to issue the written judgment, which would explain the basis for the guilty verdict. Tabatabaei said that Iranian law requires courts to issue their written verdicts within one week of a trial’s conclusion. The delay in this case has fueled fears that authorities may bring additional charges against Ghavami, a family friend following the case, told Human Rights Watch. Tabatabaei said that he was not able to meet with his client except on October 14, the day of the trial. Security authorities initially arrested Ghavami and about 20 others on June 20 after they protested a ban preventing women from entering the Azadi Sports Complex to watch a match between Iran and Italy. The protesters were taken to Tehran’s Vozara Detention Center, where women arrested for breaches of the Islamic dress code are often held. Officials released Ghavami after several hours, but re-arrested her on June 30, when she returned to the detention facility to collect her phone. Iman Ghavami said that security officials then searched his sister’s home, confiscated her laptop and other possessions, and transferred her to Evin prison, where she remains. Ghavami spent her first 41 days in solitary confinement in section 2A of Evin prison , he said. It is believed that Section 2A is controlled by Iran’s Revolutionary Guards. On September 22, Iran’s judiciary spokesperson said that Ghavami’s arrest was for national security reasons and “has nothing to do with sports.” However, no judiciary or other state officials has disclosed any of the evidence used to convict Ghavami. The male-only policy for spectators at volleyball matches dates to 2012, when the Sports and Youth Affairs Ministry extended the existing policy on soccer matches to cover volleyball. Iranian officials claim that mixed attendance at sports events is un-Islamic, threatens public order, and exposes women to crude behavior by male fans. The FIVB responded that it had sent a letter to President Hassan Rouhani urging him to reconsider the decision to keep Ghavami under arrest. In an October 21 meeting with Human Rights Watch staff, the FIVB affirmed its commitment to inclusivity and the right of women to participate in sports and said that Iran would not be able to host a world championship or any international event until this problem is solved. On November 1, at the FIVB World Congress in Cagliari, Italy, Dr. Ary S. Graça, the body’s president, publicly called for the release of Ghavami and declared, “[W]omen throughout the world should be allowed to watch and participate in volleyball on an equal basis.” The Asian Volleyball Confederation’s announcement came the next day. Human Rights Watch has called on organizers of international sporting events to include non-discrimination clauses in their host city contracts, following the decision by the International Olympic Committee (IOC) in September to include that requirement. The IOC has informed the finalists bidding for the 2022 Winter Games of this requirement.